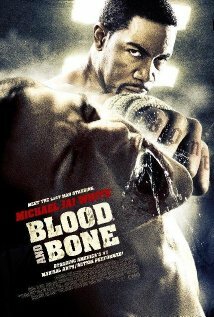 Taglines: It's time to knuckle up. According to the DVD commentary, the scene that used the song "Dance Hall Days" by Wang Chung was meant to use ABBA's "Dancing Queen", but "ABBA wasn't having that". Crew or equipment visible: In the first scene where Kimbo and his companions are walking, the camera man's shadow can clearly be seen on the railing below. James: I imagine several hundred years ago, a group of very powerful men, not unlike yourself, were out conquering the known world. So they get to Africa, feeling pretty good about themselves, definitely feeling superior to the savages they see running in the jungle. That is, until one of the brothers drops his loincloth. And then these powerful men, all of a sudden, come face to face, so to speak, with one of life's great inequities. What can you say? 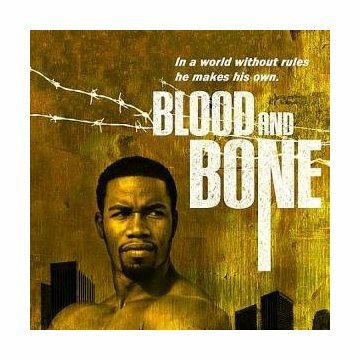 'Blood and Bone' is a pleasant martial arts/drama surprise that handles us a pretty enjoyable ride during it's 90 minutes and a Michael Jai White in top form.